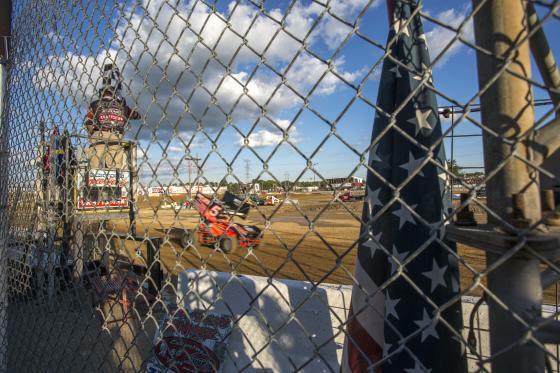 The Rockford Speedway, for the first time in its 69 years of competition has been converted from a paved surface to clay for the "Outlaw Clay Classic." When I first heard about this event a couple months ago, my first thought was "that sounds dangerous, and fun to shoot... Sign me up!" Well, I sorta forgot about the event until about 2 weeks ago, and in a sort of last minute fashion I was able to acquire a media pass. Now I have never covered any racing at all, I knew the basics of the tech side of how to make the photos of the cars themselves more interesting, but I knew I wanted to challenge myself by making a photo narrative of what being at the Rockford Speedway during an event like this is like. 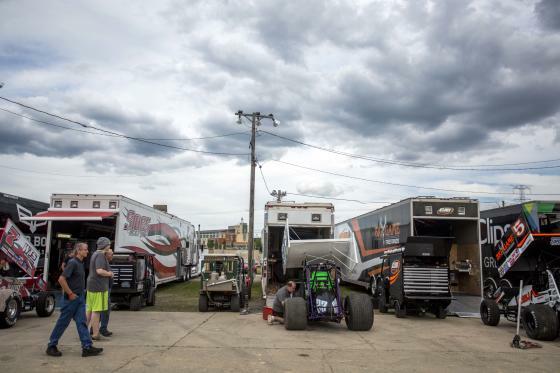 Fans wander and watch pit crew members work on cars. An entire second section of fence was added to ensure fan safety. 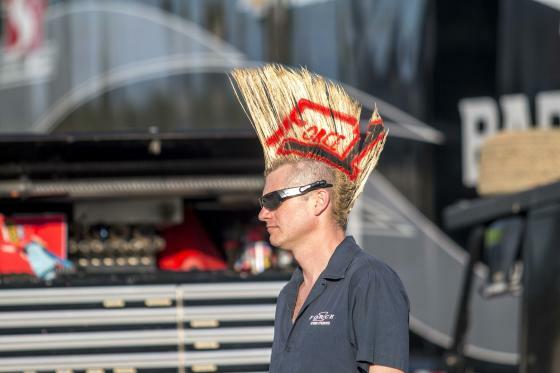 B.J Irwin sports a mohawk for the event. 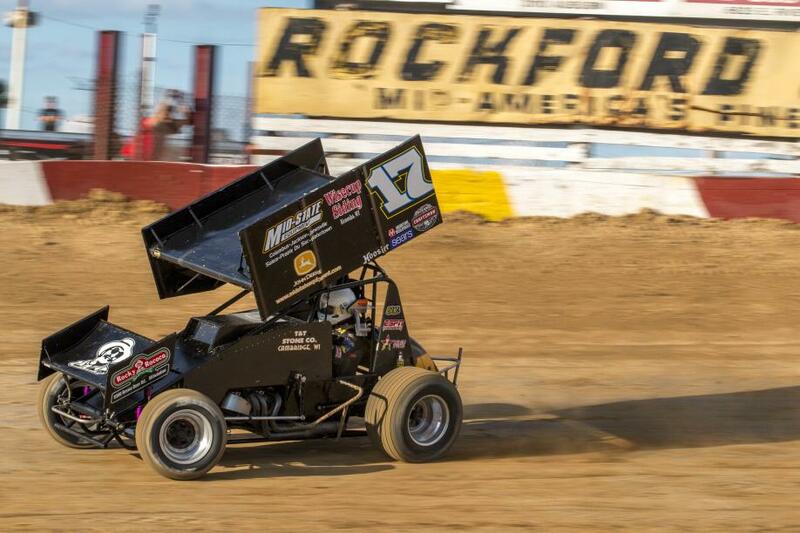 The World of Outlaws Craftsman Sprint Cars made their first appearance at Rockford Speedway. 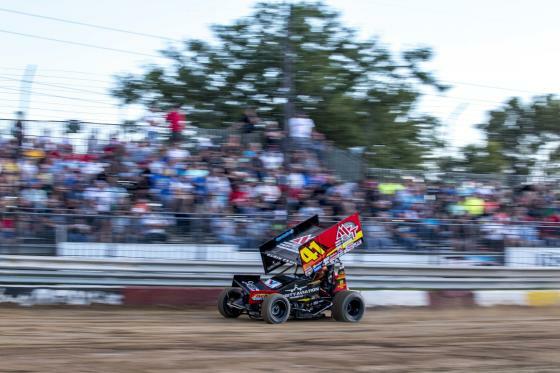 Sprint Cars fly by the packed stands Wednesday evening. 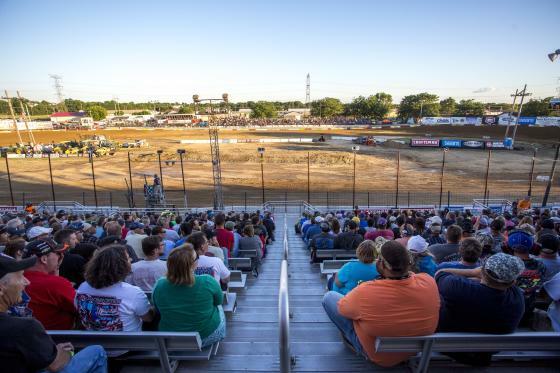 The Grandstands of the speedway were full Wednesday evening. 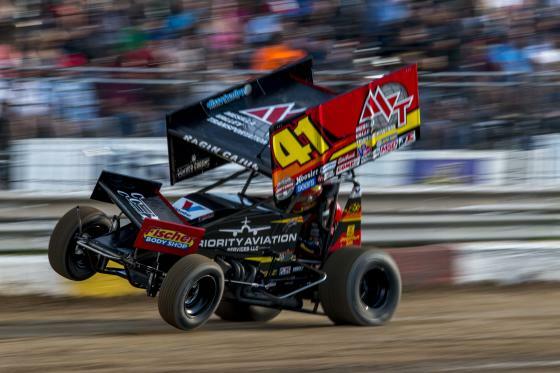 Sprint Cars make their way past the checkered flag Wednesday evening. 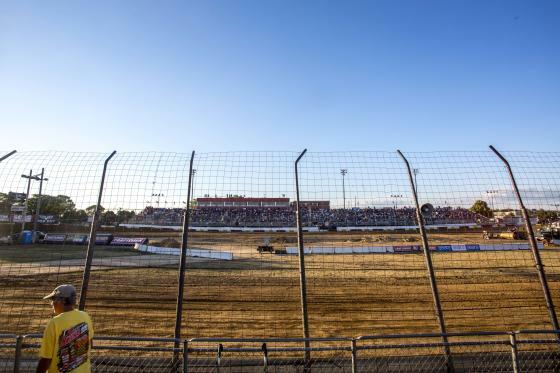 The Rockford Speedway Wednesday evening.